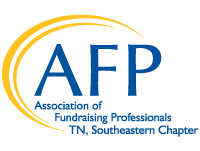 February 15 – D.C. Dreger - Managing Up: CEO & Board as Fundraisers. May 17 – David Hunter, Chambliss, Bahner & Stophel, P. C.
2017 Individual Tax Laws and Philanthropy: What Your Development Office Needs to Know. In the last few years, there have been some significant federal tax changes and proposals that impact philanthropy, individual giving, transfer of wealth, and estate taxes. How prepared are you to answer the questions your top donors have about how these laws impact their giving? Join us for this important presentation on some of the tax law changes that impact your development office and your donors. June 21 – Erica Waasdorp – Major donors make the splash, Monthly donors create the pond! So many people worry about how to generate major gifts. They forget about the tremendous little nuggets they already have in their database. And you have a lot more small donors than large ones, right? Did you know that 100 monthly donors are worth an average of $24,000 a year? If you are considering a monthly giving program or if you’re looking to grow your current program, this session is for you! Explore the art and science of storytelling in a way that touches hearts, opens wallets and impacts lives. You’ll see some real world examples of storytelling including one example that breaks down the elements of a good story. Learn what the fundraising experts say about why storytelling matters and what research has revealed about the effects of good storytelling on fundraising.